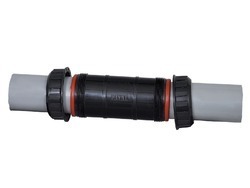 Our product range includes a wide range of repair coupler, threaded pvc pipe d joint, plastic d joint, pvc d joint, pe d joint and hdpe d joint. 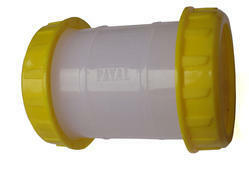 We are leading manufacturer and supplier of PVC Pipe Connector. By keeping track of the latest market developments. 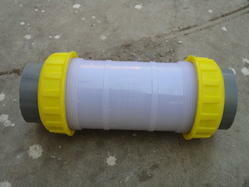 We are engaged in offering Threaded PVC Pipe D Joint to our client. 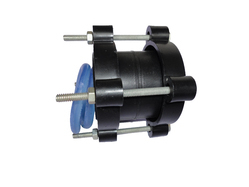 With the through the understanding of the relevant industry, we are offering a wide range Plastic D Joint. A manufacturing process of this joint undergoes various stages of quality tests in order to ensure its optimum usage. Under the strict supervision of our experienced professionals, we are offering an innovative collection of PVC D Joint that is widely demanded in various automobiles industries for meeting diverse applications. Our provided joint is available in diversified specifications, sizes, and designs for our prestigious clients. We have uniquely positioned ourselves as a dependable manufacturer and supplier of PE D Joint that is widely used for piping applications. The manufacturing process of this product undergoes various stages of quality tests in order to ensure its optimum usage. 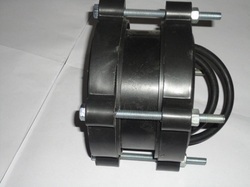 We are offering HDPE D Joint to our client.